Are you a blogger who wants to increase your exposure and drive more readers to your site? Are you looking for ways to promote the awesome tutorials and posts you are sharing on your site? 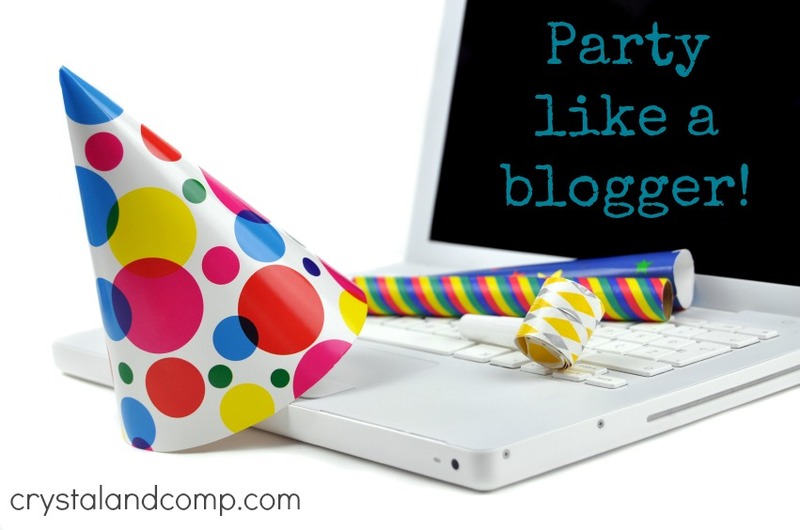 One way to get new readers and share your amazing work is by participating in linky parties. Yes, it is a party. This is how I took my blogging traffic from 10,000 pageviews a month to 30,000 pageviews a month back in early 2011. This strategy still works to this day. Depending on the niche you write about, there are literally 10+ linky parties you could link up to ever day. You want to make a list of these parties and make note of the day and time their party goes live. Try as hard as you can to be the first 10-20 people to link up. This will help increase your clicks. Use a good quality picture from your post to draw the reader in and encourage them to click on your post. There are likely to be 100+ links shared- make yours stand out. When linking up, give it a title that is to the point, encourages readers to click and brings value. Here are some of my favorite places to link up each week. Skip to my Lou <<— brings me great traffic! We are THAT Family <<—– has been a top referring site for me for about 2 yrs! Crystal & Co. <<—— that’s my party! Where do you link up? I would love for your to leave a comment telling me. Also, if you host a linky party and it is not on this list, please tell us about it below! I'm pretty sure you're now my new best friend. So excited to look through these blogs- I recognize some but not many. Thanks for sharing! I am so glad this list is helpful! You can honestly get lost for hours searching for ideas on these sites. Just what I was looking for!! Thanks!! Great list of sites! Thanks for sharing! thanks for including me among so many fabulous sites! I host a linky party on Fridays that is growing. We had over 80 bloggers show up last week and almost 500 visitors. The audience is moms and includes a MOPS group that I am a part of. I’d love it if you could add us to your list of places to link up! I have a fairly new party! It’s great because I have a fairly decent sized following and the linky is generally small so you get a lot of attention…it’s not one of those links with over 300 link ups where your link may have a difficult time getting noticed. This post is four years old. I will add you. I love your party! I love link parties and host two each week, Pretty Pintastic which starts Fridays and Small Victories Sunday which starts Saturday 8pm EST. I,hope you’ll add us to this great list and thanks for all the parties to check out!